The Gibby's Gallop 5K run/walk and 5 mile run returns too Montville, NJ on Saturday, Oct. 1, 2016. Proceeds from this annual event benefit a memorial scholarship fund, "The Gibby," given to a deserving senior from the Boys and Girls U18 Morris Rugby teams at the conclusion of their spring season. 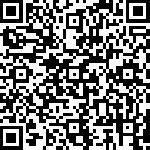 Register using the link below or by scanning the QR Code on your phone. 18 and Under: $15 race fee plus $2.50 sign-up fee.